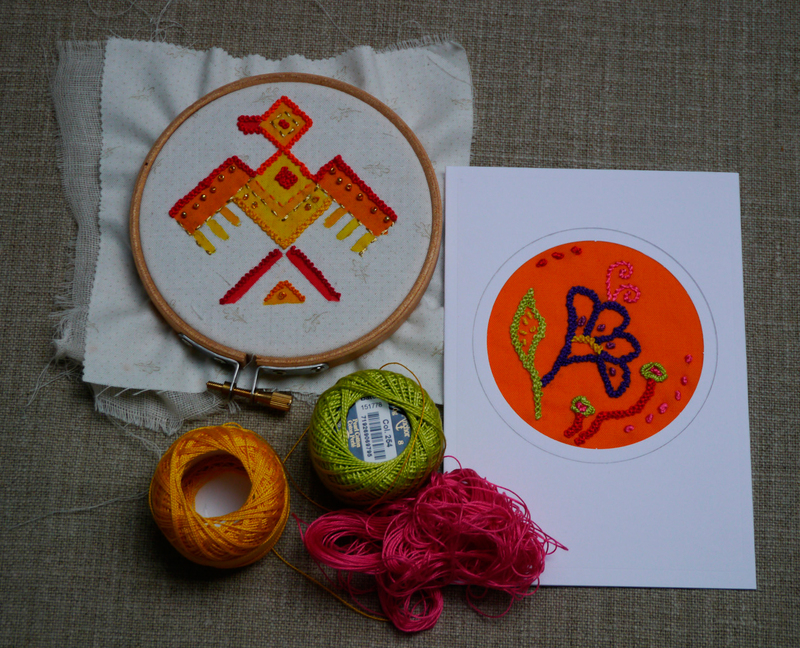 Try your hand at Peruvian knot stitch and sew a beautiful greetings card for a special friend. 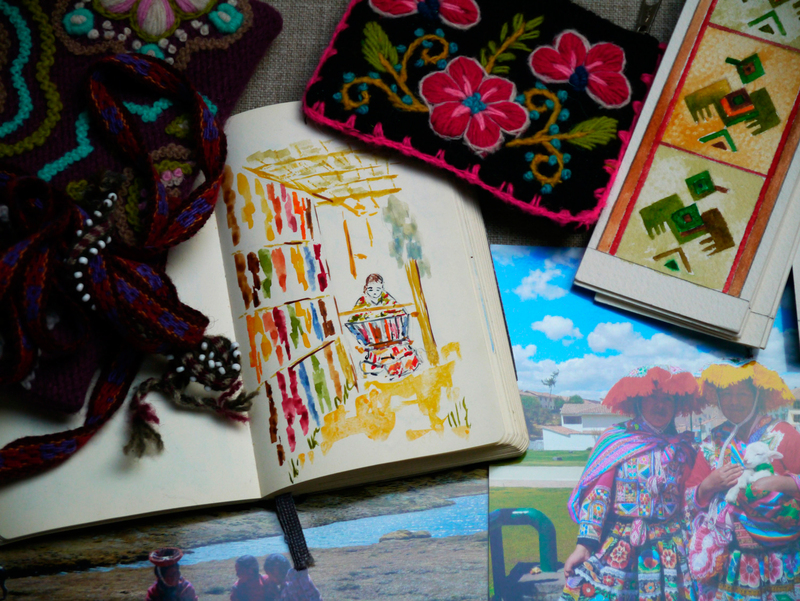 Use the vibrant colours of the Peruvian cloth to brighten up a grey day. 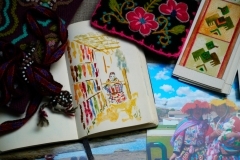 The workshop is designed to enhance your knowledge of Peruvian textiles, the back strap weaving using llama wool with intricate patterns and motifs and the colourful embroidery sewn in the Andes Mountains. 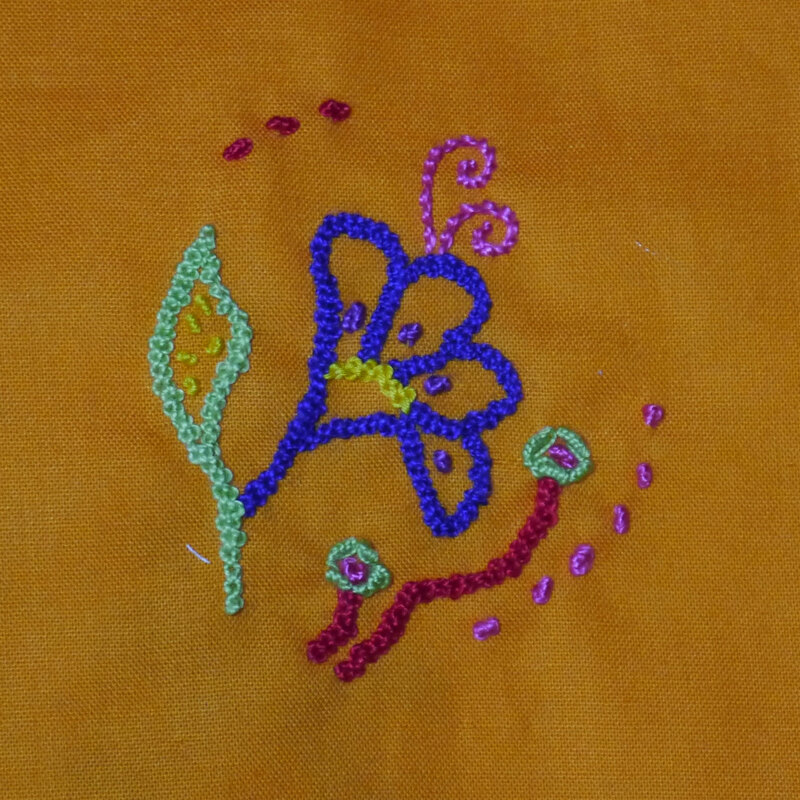 Choose a flower, a stylised animal or figure and frame it with a geometric line border. 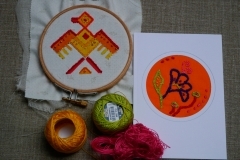 You will develop the skills of Peruvian embroidery including chain stitch, French knots, bullion stitch, stem stitch, satin stitch and a Peruvian knot stitch called ‘crespo’. 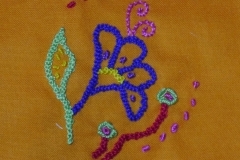 Then you can apply the stitches to your chosen motif. At the end of the workshop you will have an original greetings card to frame or send to a special person.